Saudi Arabia kick-started one of the Middle East’s largest cultural happenings in Riyadh. 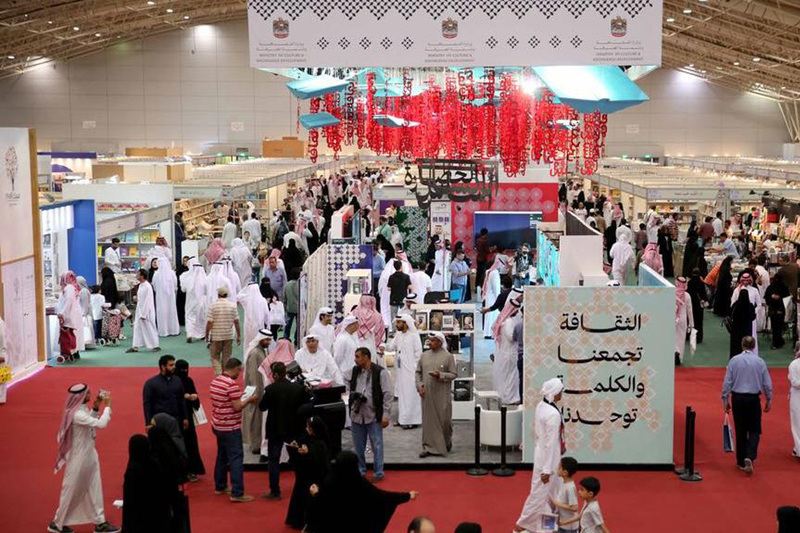 The Riyadh International Book Fair 2019’s opening ceremony was held at the Riyadh International Convention and Exhibition Center last week, and it was attended by the Saudi Deputy Culture Minister, Hamed bin Mohammed Fayez, and the Bahraini Minister of Culture, Mai bint Mohammed Al-Khalifa. Both officials talked about the importance of such events to raise awareness on matters of culture and to exhibit talent from all over the region. They also presented awards to a number of Saudi Arabian filmmakers and authors. A tribute was also given at the event to the late Saudi poet and novelist Ghazi Al Gosaibi. واتفاقية رعاية نوعية بين إدارة المعرض وإثراء .. The cultural event – whose number of visitors has reached 5,391,086 – will go on until March 23rd and will host 200 cultural events; including seminars, lectures, and workshops as well as theatrical performances and informative films. Also, for all the book lovers around Riyadh at this time, there were will reductions on books reaching a whopping 70%! Islam history will also be a part of the fair, as its rich and interesting narrative proved to be an exciting topic to many attendees, but fret not, as Arabic is not the only language present, English, Spanish French, Turkish, and Urdu works will also be available. These kinds of events have been buzzing in Saudi for quite a time now, and they’ve manifested as very successful and informative happenings. Serving as a melting pot for all the thinkers, book lovers, and writers, and as a platform to showcase what the Arab world can contribute to the both the national and international publishing arenas.